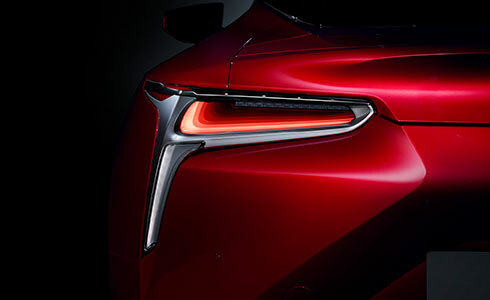 The increasingly strong sequential illumination of the signature L-shaped rear combination lamps is created by an innovative multi-reflection effect using a one-way mirror. The lamp structure enhances illumination depth while enabling thin lamps that minimize intrusion into the luggage space. The mirrors combine excellent visibility and refined aerodynamics in an eye-catching design. 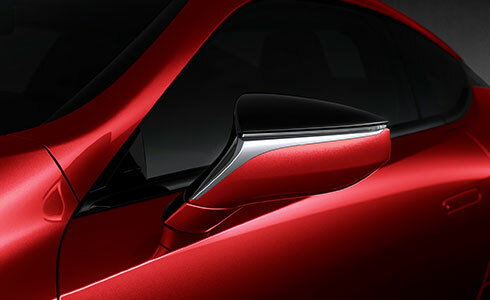 Cutting the inner side of the mirror enhances forward visibility between the pillar and mirror, while a slight curvature of the mirror provides wide visibility to the rear. The black upper sides of the mirror contribute to the visually compact design. 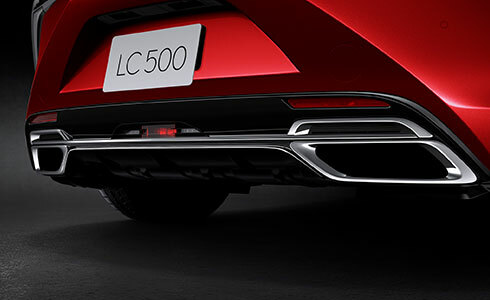 The spindle theme of the rear design emphasizes the LC’s powerful stance and low center of gravity with a distinctive form that flows around the license plate, and in the shape and position of the muffler baffles and diffusers. 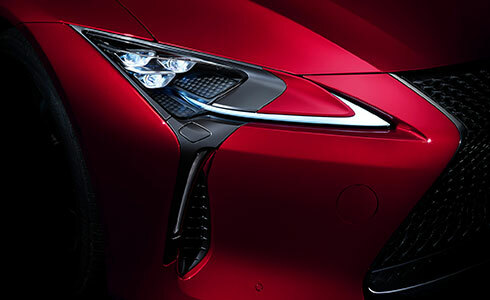 The edge of the garnish connecting the muffler baffles smooth airflow over the bumper, further enhancing aerodynamics. Fusing seductive beauty with aerodynamic function, a simple line on the door reveals the presence of the handle recessed flush with the surface. When carrying the Electronic Key, push the front of the handle and it unlocks the door and pops the handle out. 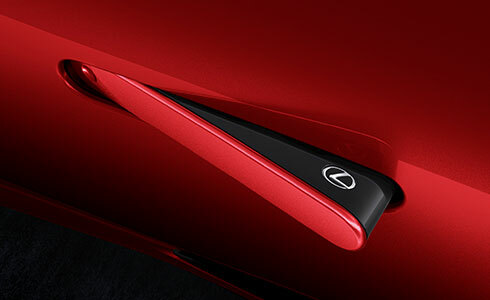 Push the rear of the handle and it retracts automatically and locks the door. At night, integrated LED illumination guides you to the handle. The audiophile-quality Mark Levinson Reference Surround Sound System incorporates an 11-channel amplifier that drives 13 speakers, to replicate a precise sound stage that reproduces the position and depth of each instrument. It incorporates Clari-Fi technology that intelligently restores high fidelity to music from compressed digital sources such as MP3. 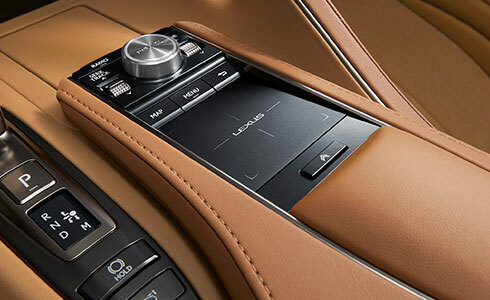 The newly-developed, advanced touchpad surface enables simple touchpad operation, letting users interact intuitively with the audio and navigation systems on the 10.3-inch EMV display, providing easy control of both systems. 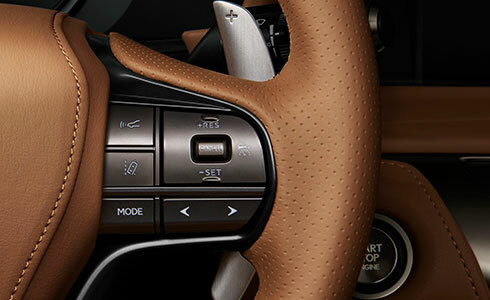 The size and positioning of the paddle shift switches were optimized so they can be operated without changing grip on the steering wheel. Their magnesium alloy finish contributes to their light weight and high rigidity, and also adds a luxury touch. 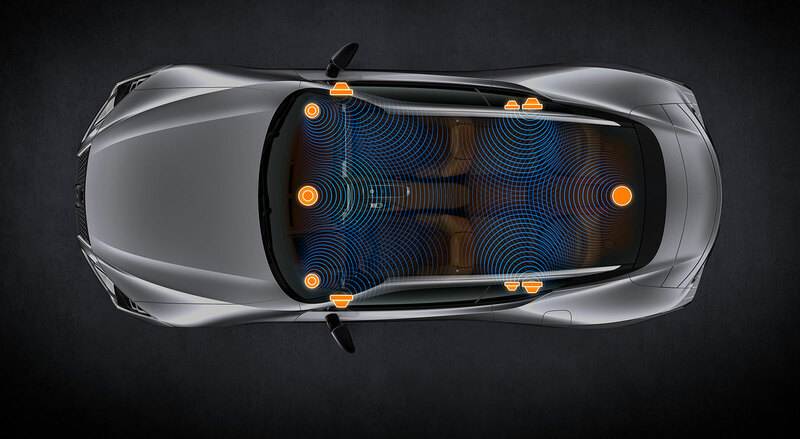 Sound engineers for the 12-speaker audio system worked in collaboration with the body and cabin designers to enhance sound performance in the cabin, treating occupants to an exceptional audio experience with vibrant music that is true to its source. The woofer unit in each door is enclosed in a box to suppress transmission of unwanted vibrations to the door panel and trim. 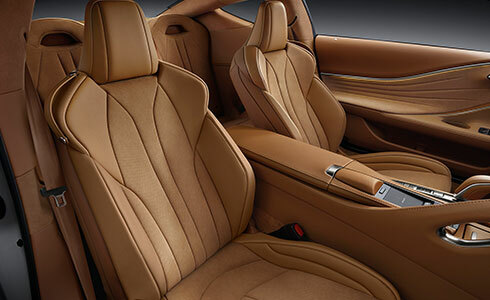 Beneath the beautiful handcrafted finish of the front seats is an innovative layered structure that separates the structures for the seat back and sides, enhancing the strength of the seat frame for lively sports driving. Additional refinements to the side cushioning to provide excellent lateral support, are complemented by concave shaping of the seat cushion to support the pelvis. 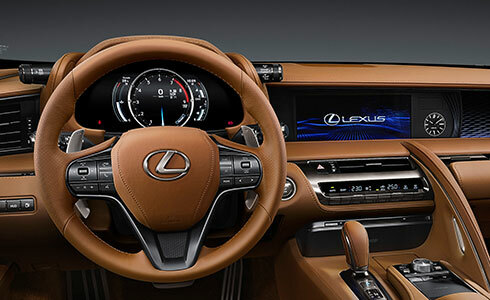 The Lexus Climate Concierge automatically controls the cabin temperature and ventilated Seats for the front seats. 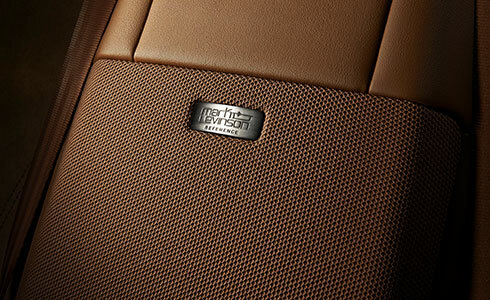 Suction-type seat ventilation eliminates the humid feeling associated with leather seats. 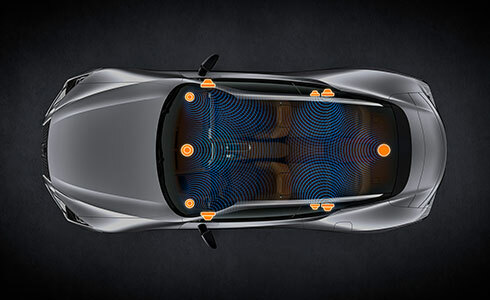 Power adjustments enable tailoring of the front seat settings to optimize individual comfort and support. Their satin metallic switches impart a quality touch. 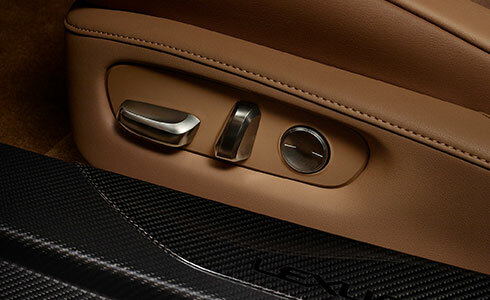 LED ambient illumination integrated into the door trim contributes to the feeling of luxury in the cabin, subtly shading and lighting the drape of the trim. It provides an elegant atmosphere that is different from its daytime face.